Hosted By: All About My Deals Sponsored By: 26 Bars & A Band, Canine Care Products, CritterZone, The DogClaw, EzyDog, Fizzion Clean, Howie and Friends, My Dog Ate It, Northern Biscuits, PetFlys and Thundershirt. Note from the host: A BIG thank you to all the wonderful bloggers that are sharing this giveaway. Giveaway Entrants please show them and the sponsors some love in the giveaway widget below. This giveaway will have SEVEN winners. The prizes will be awarded in the order the names are pulled at the end of the giveaway. The first name pulled will win Prize#1, 2nd name pulled will win Prize#2 and so on. Enter on the giveaway widget below. You can come back everyday to gain more entries. Want even more chances to win Pet products? Make sure you follow All About My Deals facebook page. She will be having a live event on Feb. 23rd at 6pm cst. Mark your calenders, you won’t want to miss out on all the fun and chances to win. Disclosure: The Sponsor is responsible for prize shipment. This giveaway is not associated, sponsored nor endorsed by Facebook or Twitter or any other social networking site. I am disclosing this in accordance with the Federal Trade Commissions 16 CFR, Part 255 Guides Concerning the Use of Endorsements and Testimonials In Advertising. 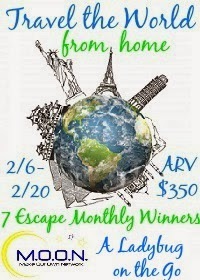 “Escape Monthly was born from the love of travel and relaxation. Each month, we bundle majestic experiences into each box, helping everyone and anyone escape to that place they cherish so deeply in their hearts—their paradise. “Make Our Own Network” solely organized this event and I received no compensation for this publication. My opinions are 100% my own and may differ from your own or even those stated in this post. 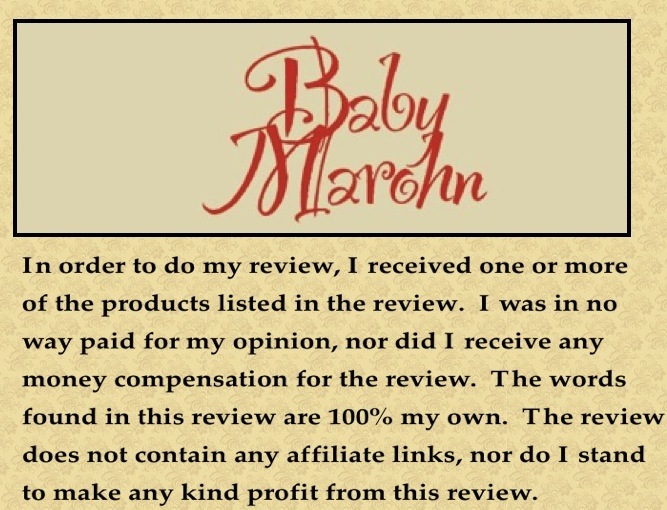 This event is in accordance with the FTC’s 16 CFR, Part 255: “Guides Concerning the Use of Endorsements and Testimonials in Advertising” and is in no way associated with any of the social media it is viewed/shared/located on. The sponsor is responsible for prize shipment and not this blog or any bloggers involved in the promotion. What to do something really different for your love for Valentine’s Day? How about a novel featuring…well… them, and you of course. On YourNovel.com, you can make a novel featuring you and your valentine. This giveaway is open Worldwide and will end on February 14th, 2014. 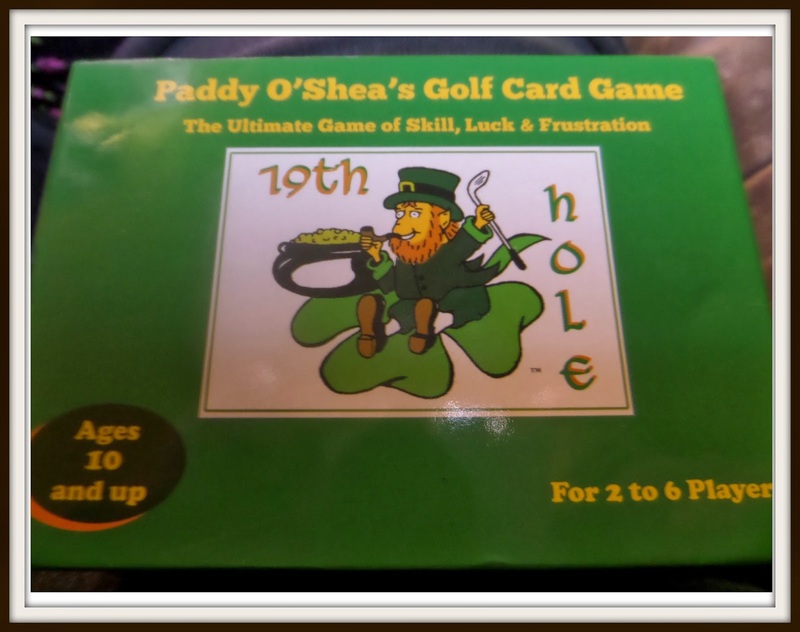 If you are looking for a fun game to play with your kids or at a party for St. Paddy’s Day you should really check out the golf card game by Paddy O’Shea. 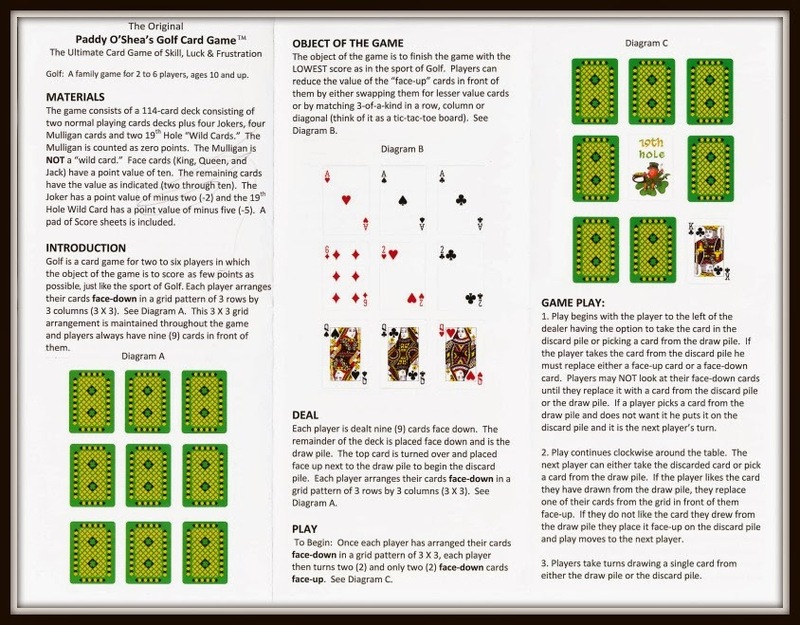 Paddy O’Shea’s Golf Card Game™ is a new family card game based on the popular version of the card game “Golf.” It is a fun game that golfers, card players and people who play board games find entertaining and exciting. The game is for 2 to 6 players ages 10 and up. It is easy to learn! 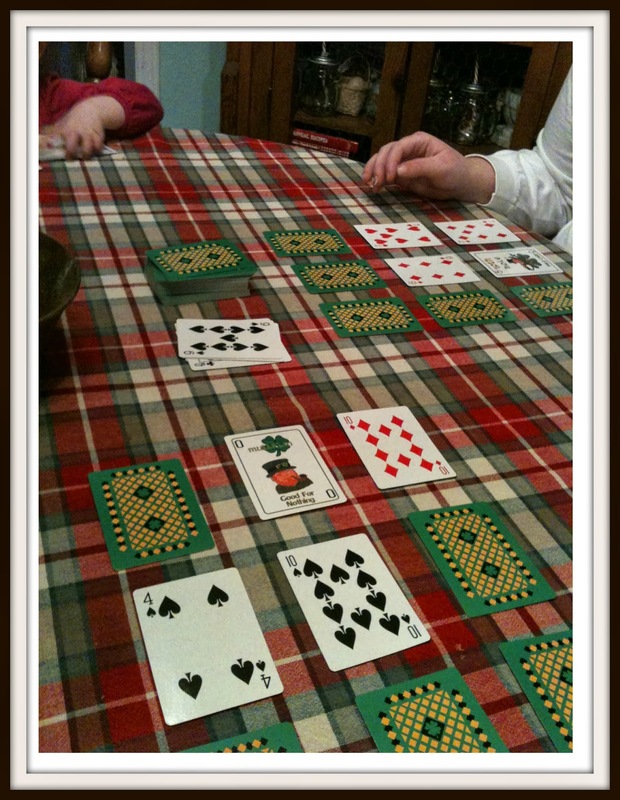 It was really easy, the way my sister and I played. (We kind of ignored some rules since it was my first time playing). A few base rules. Number cards are worth face value, and face cards are worth 10 points. 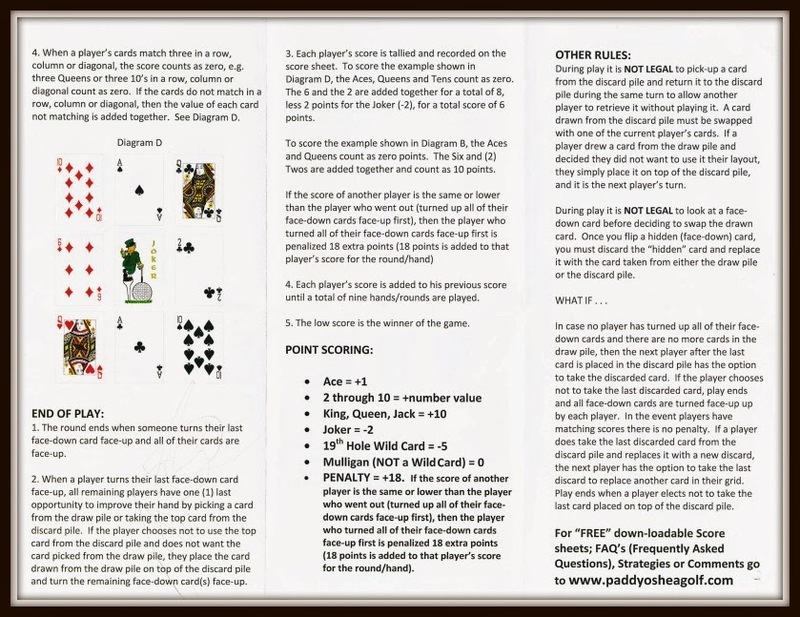 The game also has -5, -2, and 0 point cards, those are clearly marked with fun graphics. First we laid our cards face down in 3 rolls of 3 (so 9 cards in total). Next we picked two random cards in our 9 cards and turned them face up. If you get three cards in a roll that are the same no matter their value, they will equal 0. Here are the official rules. 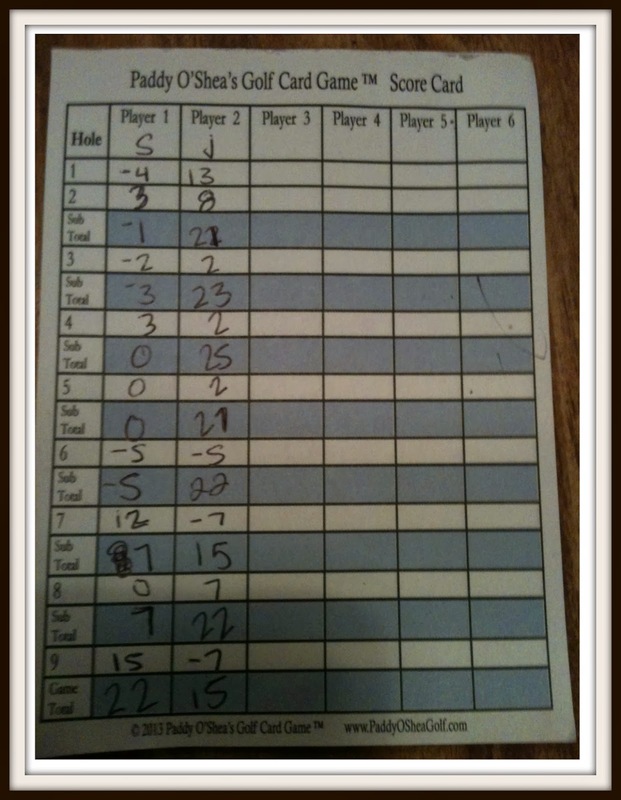 I won with 15! Whoo Hoo! You can purchase Paddy O’Shea’s golf game on their website. It costs $9.95 +shipping. They currently only take PayPal though. I hope in the future they can take Amazon Payments (which I would feel better with). If you would like to try your luck, you can enter to win your very own Paddy O’Shea’s Golf Game. 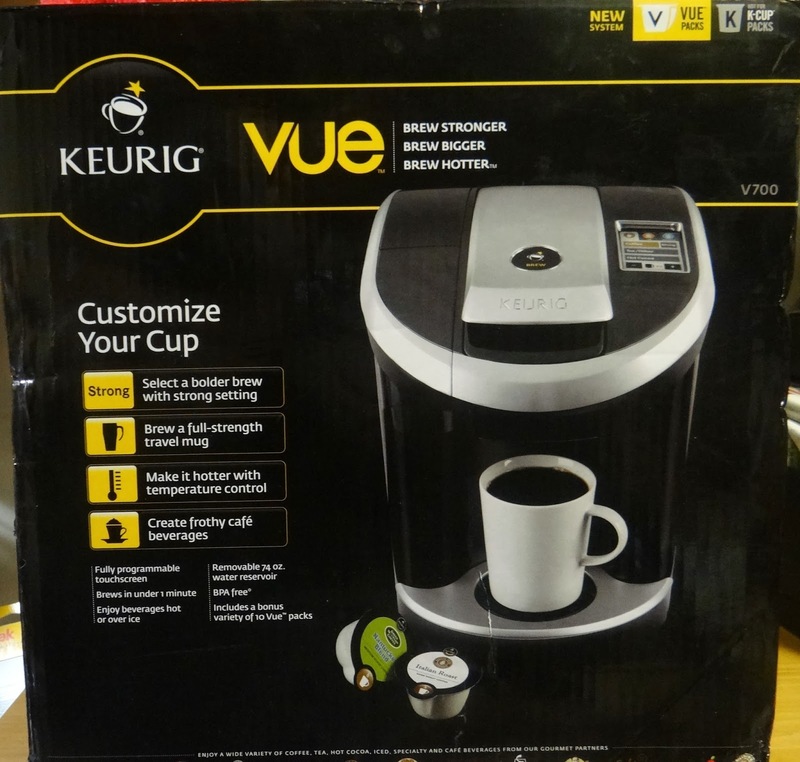 Pretty much everyone has heard of Keurig, but did you know that they have a system now that lets you take control of how you want your coffee brewed. 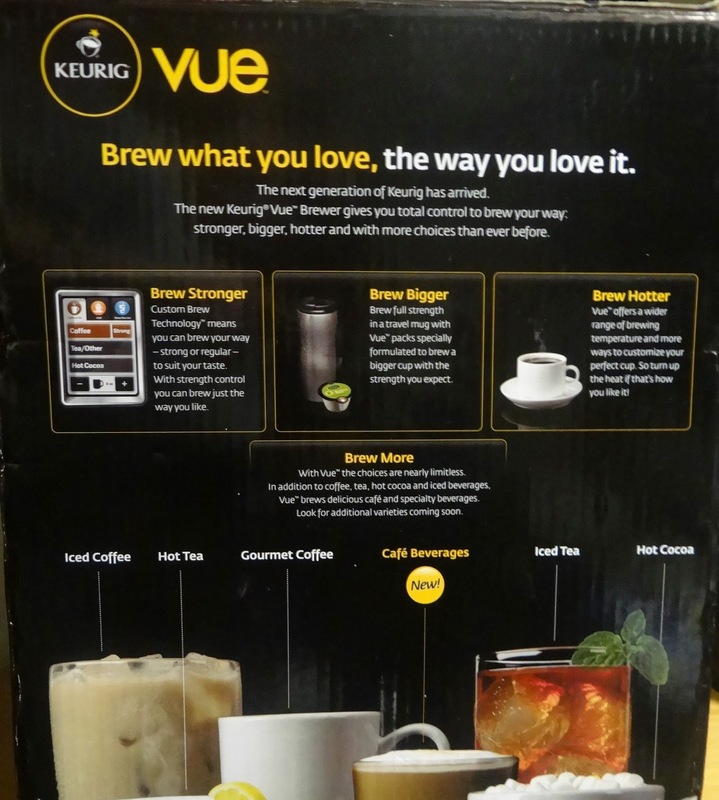 You can choose to have your beverage hotter, bigger, stronger, and more. The V700 is all controlled with an awesome touch screen. This is really a great system. Products like these are great if you are using cloth diapers, or have a baby that has blowouts quite often. If you want to learn more, read on. Kathleen has written a really great review. Welcome to the The Spray Quick Giveaway! 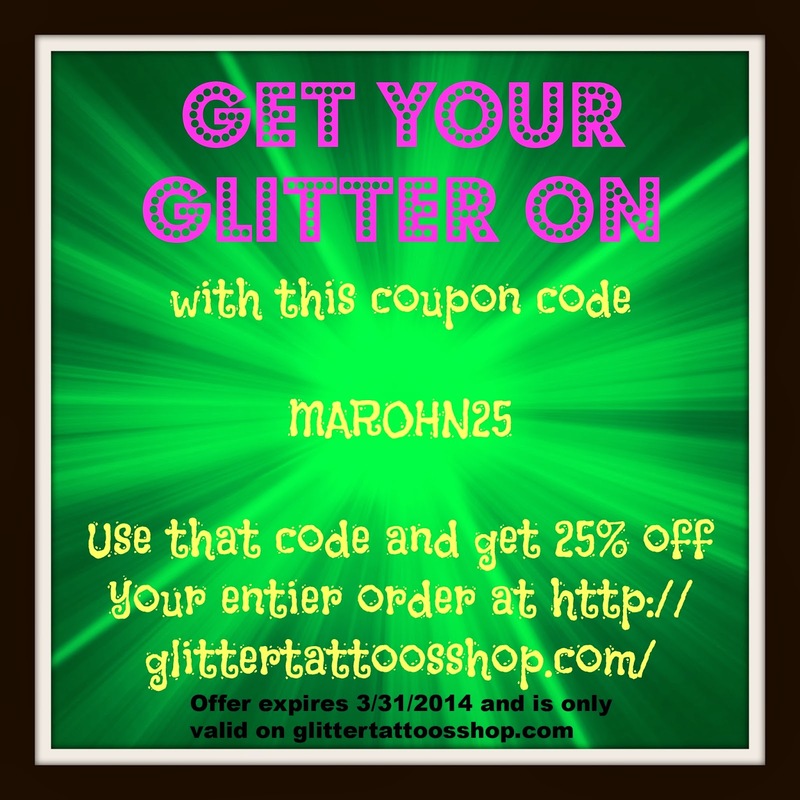 Enter using the rafflecopter below- the only mandatory entry is to leave a comment on the blog you are entering from. All the other entries are optional. Remember the more entries you complete the better chance you have to win. All entries WILL be verified. 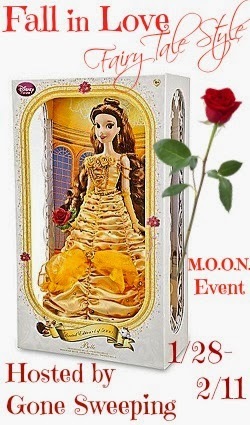 Beauty and the Beast is one of my all time favorite princess movies, and in this giveaway you have the chance to win a beautiful Belle doll. This giveaway is open to the Continental US only (because of shipping costs) and will end on February 11th, 2014. If you have never been to a Bonefish Grill, you don’t know what you are missing. They have some of the best food, and the service is awesome. 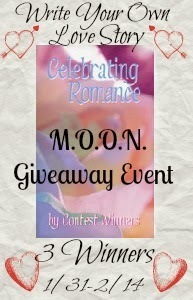 If you have one near you you should check it out and enter this giveaway. Valentine’s Day is right around the corner and to celebrate Bonefish Grill has a new Prix Fixe (fixed price) menu for you and your significant other to enjoy. Available Tuesday, February 11 through Monday, February 17, dinner for two is available for $29.90 per person and includes the delectable favorite Steak and Lobster Duet as well as a House or Caesar salad per guest and one brownie dessert to share. There are so many fantastic items you can choose from with Bonefish Grill! What Delicious dish will you enjoy? To find out more about the delicious dishes and selections you can get at Bonefish Grill Head over to Conservamom’s Review! One lucky winner will get a $50 Gift card to enjoy at their local Bonefish Grill. Will you take advantage of their Valentine’s day Special or Their Delicious Brunch? So head down below and enter to win! Giveaway ends on 2/8/14 and is open to US residents only. If you are looking for a good eco friendly disposable baby wipe, you might want to look into Bum Boosa. Bum Boosa are baby wipes made from bamboo fibers, they are super soft, and super strong. 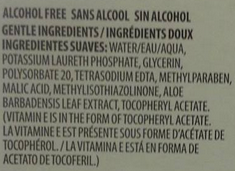 These wet wipes are also a pH balanced, alcohol-free, paraben-free, sulfate-free, chlorine-free, non-synthetic, tree-free product. Here is a photo of what Huggies has in their wet wipes. I personally know what more ingredients of the Bum Boosa whips are compared to Huggies and Pampers. Which makes me feel better about what I am putting on my daughter’s bottom, hands, and face. Our baby wipes and diaper liners are manufactured using the rayon or viscose method for turning cellulose from bamboo into a usable fiber. The main chemical used during the process to break down the bamboo is sodium hydroxide (lye), most commonly known as caustic soda or CS2. Caustic soda is one of the most widely used chemicals in the world. It is used in food production, soap making, manufacturing of bio-diesel, production of paper, and is used on nearly all cotton fabrics, including organic cotton (during the wet processing). Caustic soda is approved for use on textiles under the Global Organic Textile Standard (GOTS). One of the most important parts of the process is all recyclable. In modern viscose manufacturing for bamboo, the fiber is processed in a hermetic container where 100% of the chemicals that are used are trapped and contained – not released into the factory, environment or atmosphere. 73 percent of CS2s are recycled, 26 percent are recycled into H2SO4. The chemicals do not pollute any part of the environment. A diluted solution of sodium hydroxide is added to the cellulose sodium xanthogenate dissolving it to create a viscose solution consisting of about 5% sodium hydroxide and 7% to 15% bamboo fiber cellulose. The viscose bamboo cellulose is forced through spinneret nozzles into a large container of a highly diluted sulfuric acid solution which hardens the viscose bamboo cellulose sodium xanthogenate and reconverts it to cellulose bamboo. The finished fiber is sent to a wet wipes manufacturing facility where the spun lace process is used (without chemicals) to turn the fiber into thin, disposable sheets using high pressure water jets. If you are worried about the strength of the wipes, don’t. I’ve not been able to push my finger through one yet. Bum Boosa wipes are so soft, that I use them to wipe Goose’s face and nose with them all the time. The Calendula extract in the wipes has even helped sooth her chapped nose from her cold. If you are wondering about price, Bam Boosa wet wipes are a little more expensive compaired to the big brands. You can buy the wipes on their web site for $5.99 (+shipping) for a pack of 80 wipes. You can also purchase them on Amazon for $7.26 (as an add on item) again for a pack of 80 wipes. You can also check out their store finder to see if there is a store near you that sells Bum Boosa wet wipes. The wonderful people over at Bam Boosa are also letting me giveaway a pack of Bam Boosa wipes. You can enter any time between now and 2/3/14. Enjoy and Good Luck!